Ryefield Ceramics will be attending the 2016 Frederick Festival of the Arts held from June 3 to June 5 in Frederick, Maryland. 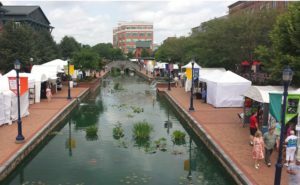 Celebrating its 23 year, the Frederick Festival of the Arts is held along Carroll Creek Linear Park in the heart of Historic Downtown Frederick, Maryland. 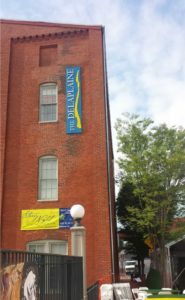 The juried event is organized by the Frederick Arts Council, a fine arts venue drawing discerning art-lovers from the surrounding areas of: Washington, D.C., Baltimore, Pennsylvania, and Northern Virginia. The Festival invites only the finest national artists and Ryefield Ceramics is honored to be counted among them for the second year in a row. We look forward to seeing friends from last year making new ones this year. The venue is among the most picturesque events we attend during the year. Carroll Creek Linear Park boasts a unique waterway and bridge crossings right downtown. The community-supported Frederick Arts Council goes out of its way to welcome both festival goers and the artists and artisans who attend. The Frederick Festival of the Arts is held along Carroll Creek Linear Park between Court Street and East Street. If traveling, please set GPS to: 100 South East Street, Frederick, MD 21701. The Festival is an open-air event and all walkways around the show are fully handicapped accessible. Handicapped parking is also available in and around the City of Frederick. 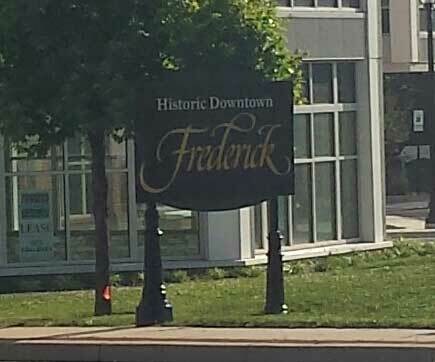 Getting around Frederick is easy. There are an abundant number of public parking spaces available in historic downtown Frederick with five parking decks from which to simply walk to the festival site. The Downtown Frederick Partnership provides a comprehensive transportation and parking guide, with maps, here.